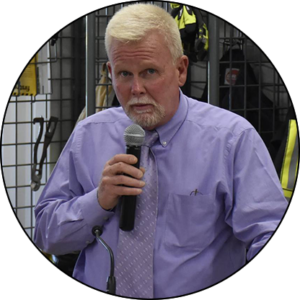 Norm is the Town Manager for the Town of Whiteland as well as the Fire Commissioner. He assumed this role when the department went from a volunteer department to a paid standby department. 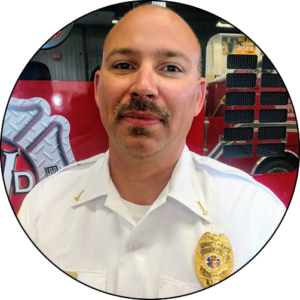 Eric has 18 years of fire service experience with the White River Township Fire Department and currently at the Bargersville Fire Department. 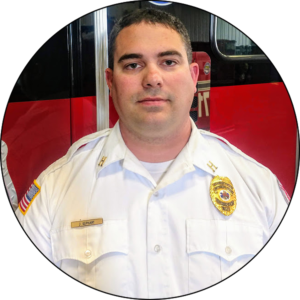 While at White River Township Fire Departments, Eric served as a Lieutenant from 2004 to 2006. In 2006, Eric joined the Bargerville Fire Department full time and during his tenure, has held the rank of Captain, Battalion Chief and currently holds the position of Division Chief of Training and Safety. Eric has been married to his lovely wife, Brooke, for 16 years and they have 12 year old twin boys. Jason has been in the fire service for 15 years. He started as a cadet and in 2005 became a firefighter with the Whiteland Fire Department. He served in the Indiana Army National guard as a CBRN Warfare Specialist for 8 years. From 2006 to 2010 he served the Amity Volunteer Fire Department, reaching the rank of Lieutenant/Safety Officer. From 2009 to 2011 he served as a part time firefighter with the Bargersville Fire Department. 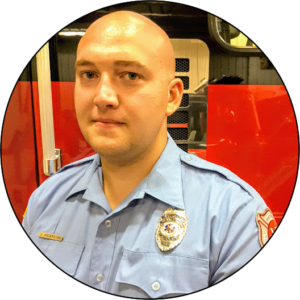 Jason is currently a full time firefighter EMT with the Harrison Township Fire Company in Columbus Indiana. He also currently serves as the house captain and safety officer for the Whiteland Fire Department. He is a bagpiper with the Indianapolis Public Safety Pipes and Drums, as well as an honor guard member. Jason has been married to his wife Amber since 2016 with 4 boys ages 7, two are 8, and one is 10. Colin started in public safety in 2012. 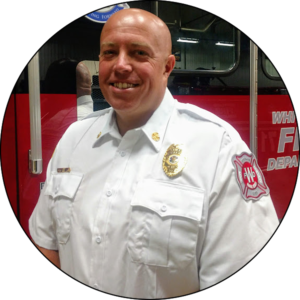 He started with Whiteland Fire Department in July 2013 and was promoted to Lieutenant in 2016. 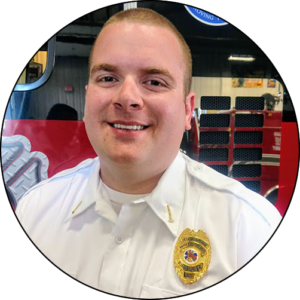 Colin has been in charge of all EMS operations since 2014. He works full time as an EMT for Indianapolis EMS, where he started in the inner city and now works in Franklin Township. Colin is also a part time FF/EMT at White River Township Fire Department and the Bargersville Fire Department. He has been married to his lovely wife Katie since September 2016. They have no children yet, but they do have two dogs that sometimes are just as much of a handful. Colin is preparing to start paramedic school in the fall of this year so that he may better serve the residents of Whiteland and surrounding cities. Steve started in the fire service 1993 as a cadet with the Greenwood Fire Department. He started part time with them in 1999 and was the Cadet Advisor from 2000 to 2010. Steve left the Greenwood Fire Department in 2012 and started part time with the White River Fire Department. 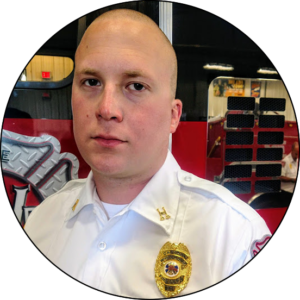 He started with the Whiteland Fire Department in 2017 before being promoted to Training Coordinator. Steve works full time with FedEx as a delivery driver. He has twin boys, age 13 and a daughter, 3.